The food and beverage industry have been in a phase of tremendous growth over the past five years, with this growth expected to soar in 2017, hitting $5.776 billion. To see evidence of this all you need to do is look around at the variety of businesses in this industry that keep popping up. Food and drink ideas are getting exported all around the world, and because of this radical globalization, the cultural food-gap is fast closing. This means that what’s seen as a custom in one part of the world, is perceived as novel in another and, as a result, is in extreme demand. For example, in Australia, the introduction of Krispy Kreme in 2010 left foodies around the country in awe, with some lining up for hours on end, and paying top dollar, just to sample their delicious, and new, donuts. It’s this approach – taking ideas across seas and localizing them in some way with a small spin – that’s allowing (at least in some big part) the industry to boom in the way it is. This, combined with the fact we live in the Instagram age of food, where every meal, every bowl, and every scroll is being snapped and posted online, is creating a frenzied tizzy around food and drink, all around the world. People love food, and they love trying and finding new and exciting places and cuisines to eat. Creating your business and a great theme to support it, however, is only part of the story. It’s no longer true that if you build it, they will come… because even if they do come, it doesn’t mean they’ll stay. In order for businesses that are surfing the wave of this booming industry to stay afloat and, with any hope, vertical, businesses need to give their customers a reason to keep coming back. In simpler terms, they need ways to develop customer loyalty. That’s one of the reasons that so many businesses in the hospitality industry are using customer loyalty programs, tailored to mobile devices, to make sure they’re still in their customer’s minds. But the key here is that they’re using mobile to do this. We’re not just talking about buy-ten-receive-one-free stamp cards you get a hole punched through when you order your coffee. We’re talking about new and exciting ways businesses are using mobile devices to attract and keep customers loyal to their brand. Simply put… mobile is the best platform to target customers on. It’s fast, easy to use and has an incredible penetration level, with over 81% of the global population owning a mobile device. Mobile is also considered by many leading industry professionals to be the most intimate and effective communication platform available for B2C communication, as it can reach people wherever they are, at any time. In addition to this, with the new payment systems that have been integrated into basically all new smartphones, it means that implementing these loyalty programs in store is also ultra convenient, for both business owners and customers. It’s a win-win on both ends. So then the question becomes: how are businesses doing it? 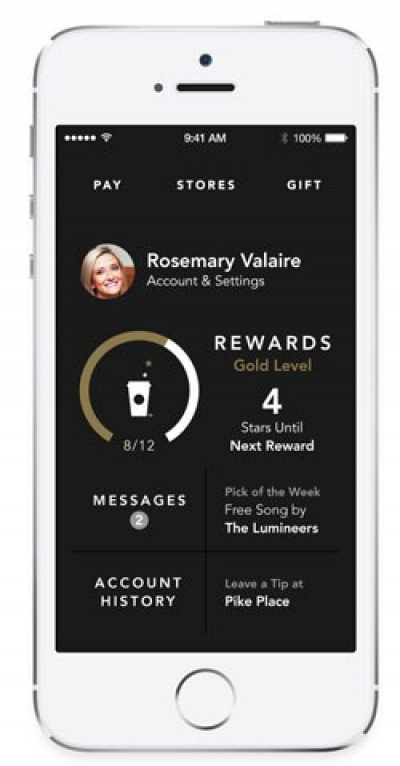 A great example of the use of mobile loyalty programs is Starbucks. Their new application, available on mobile devices, allows customers to make Starbucks purchases simply by using the app as a mobile wallet. Because all purchases can be made through the app, it allows customers to easily accumulate and then redeem their reward points in store. There is also a dashboard within the app which displays payments, rewards and any additional benefits they may receive as a result of their loyalty to Starbucks. Starbucks has seen huge success through this effort, with millions of users opting to use the app, and stay loyal to Starbucks as a result. 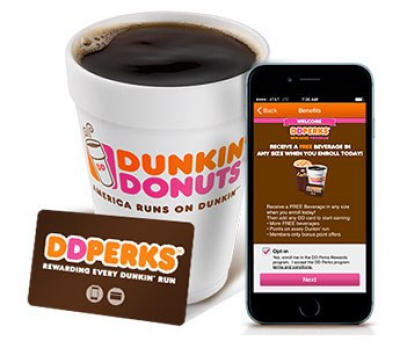 Dunkin Donuts is another company that has jumped on board the rewards wagon and has reaped major rewards for doing so. It’s called DD Perks, and much like the Starbucks’s program, it offers customers the chance to accumulate points, which they can redeem in store. It’s a Buy 12 get one free type of situation, and with 4.3 million DD members, it seems to be serving its intended purpose. Although not all businesses (and indeed only a few businesses) have the marketing budgets of Starbucks or DD, this doesn’t mean that lessons cannot be learned. There are certain factors that need to be accounted for if your loyalty rewards program is going to do its job, regardless of your budget. Second is that it has to be made simple; it has to fit in seamlessly with a customer’s method of transacting. The great thing about mobile loyalty programs is that they make this easier. If you are able to develop an app, great, and if not, think of ways (like using SMS, for instance) that will make your customers’ experience spending their money on your business easier and, if they’re loyal, evermore worth their while. 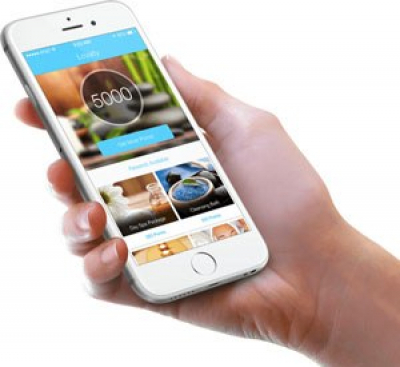 If you’re a business looking at developing a loyalty program for the first time, start small. Test the waters. Get a feel for what works and what doesn’t. The important thing is to start somewhere. All businesses in the food and beverage industry need to think of ways to keep their customers coming back for more. Customer loyalty is one of the most vital elements of a thriving business. And so when coming up with a solution to provide incentives for customers to stay true to your business, it’s important to create an actual reason, and a good one at that, for them to do so. There are no one-size fits all models that can be bought or mimicked and put into place. It has to suit your business specifically, and the landscape (i.e., the customer-base) in which it exists.